Performances and poetry by students and student organizations. Tickets are $5 and are available from Latina/o Studies Program and Latino Living Center. 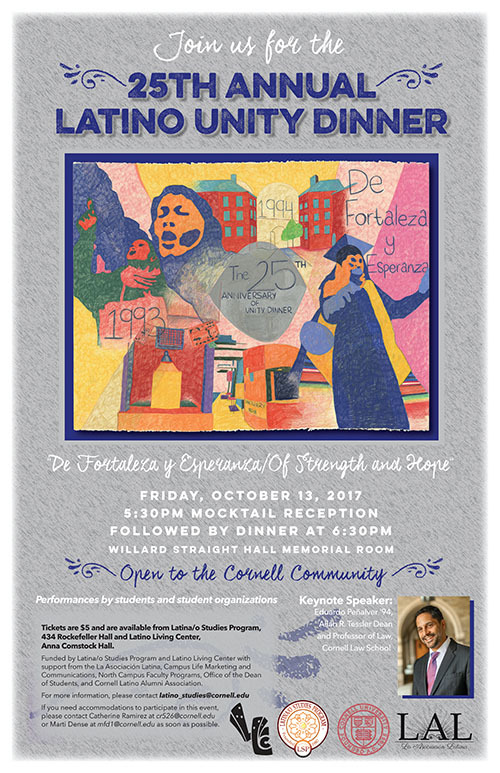 If you need accommodations to participate in this event, please contact Catherine Ramirez at cr526@cornell.edu or Marti Dense at mfd1@cornell.edu as soon as possible. Funded by Latina/o Studies Program with support from the Latino Living Center, Office of the Dean of Students, La Asociacion Latina, Campus Life Marketing & Communications, Diversity Alumni Programs, North Campus Faculty Programs.